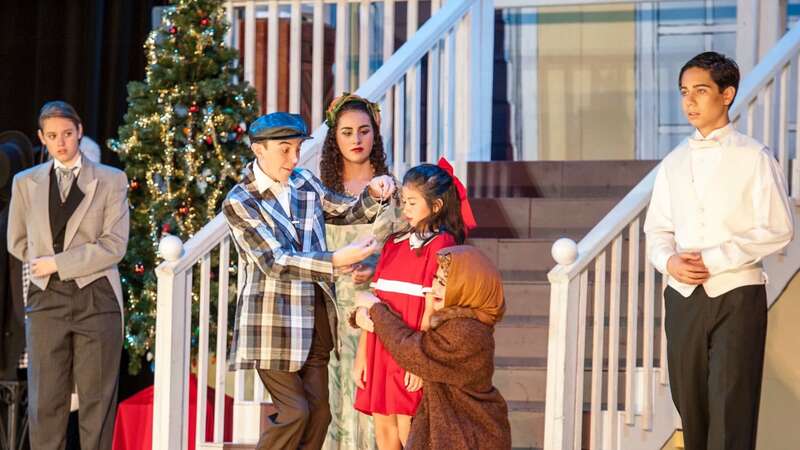 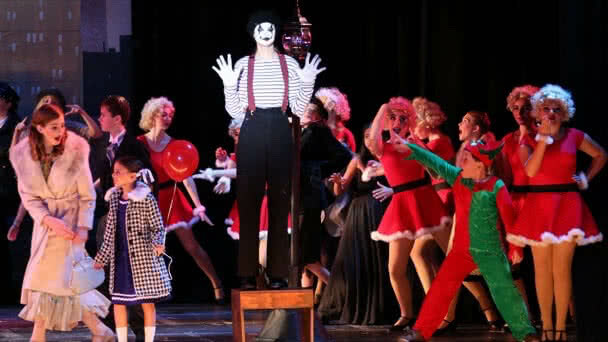 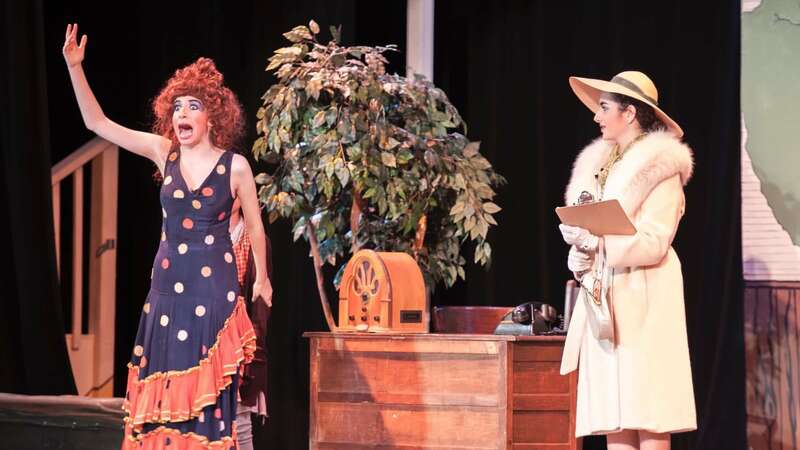 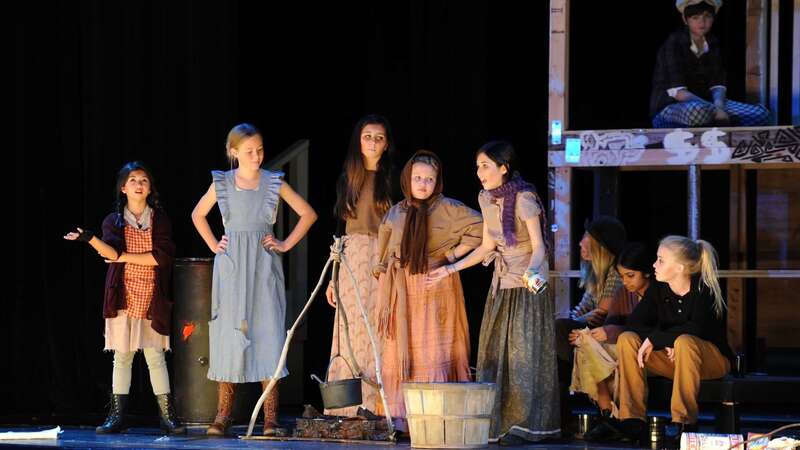 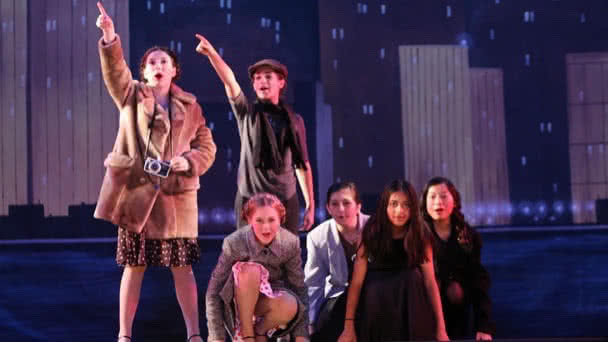 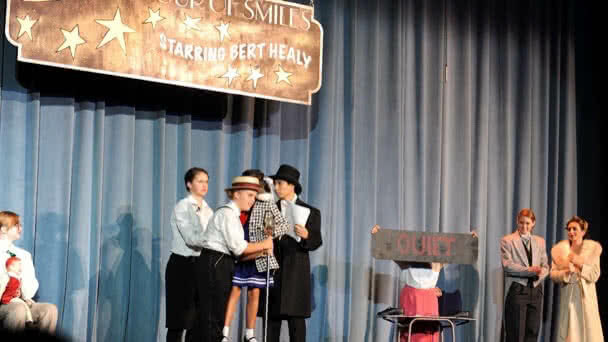 This MainStage production filled the Kofman auditorium for four matinee/evening performances in December — plus two schooltime performances — entertaining an estimated 3100 people from Alameda and around the Bay Area. 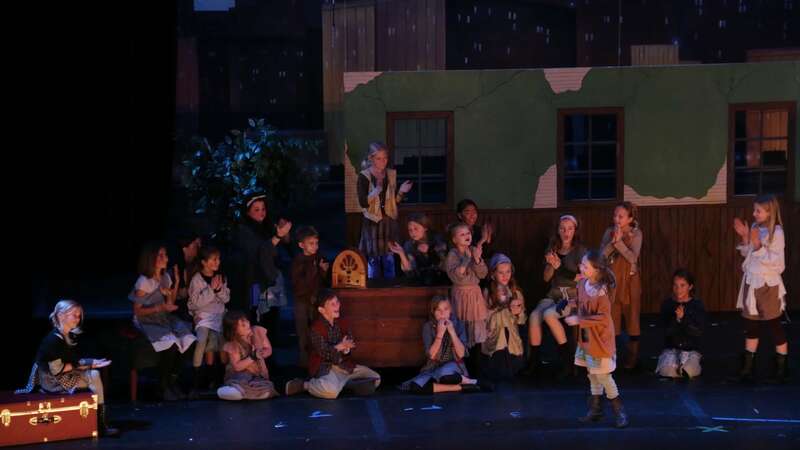 Audiences young and old rooted for the plucky orphan as she searched for her parents and ended up finding love — and riches. 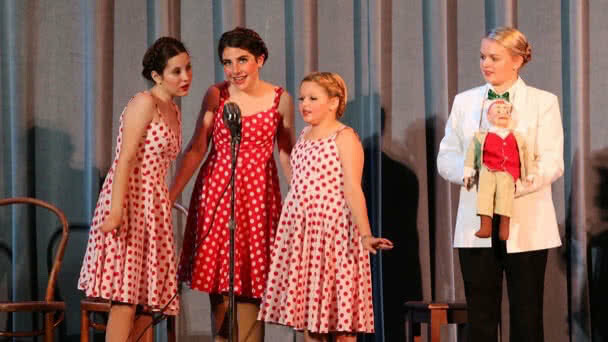 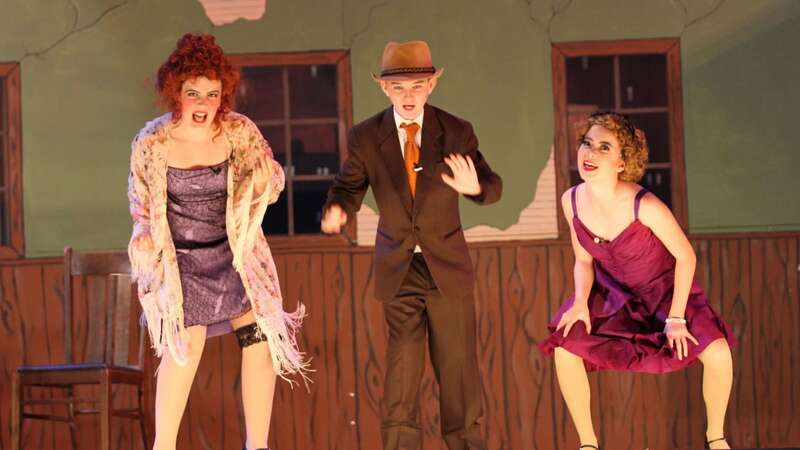 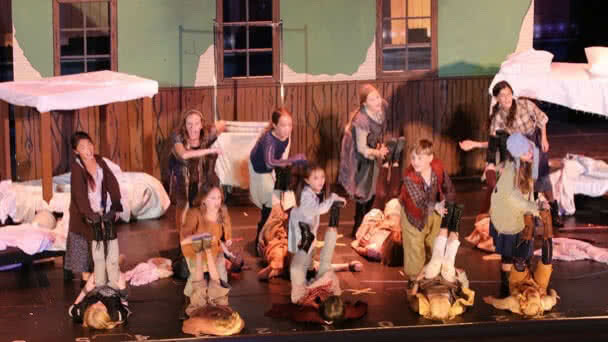 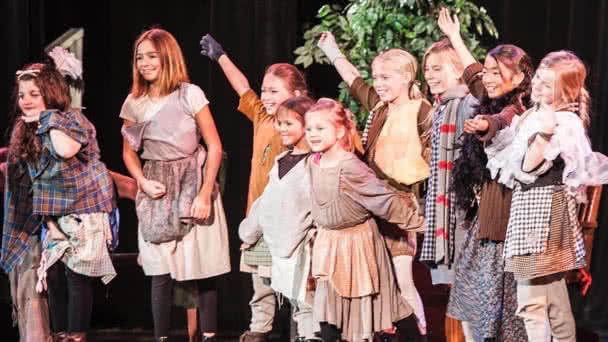 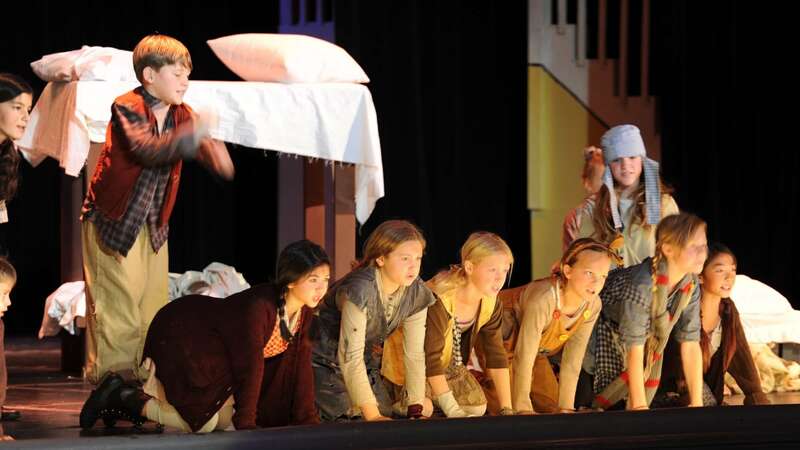 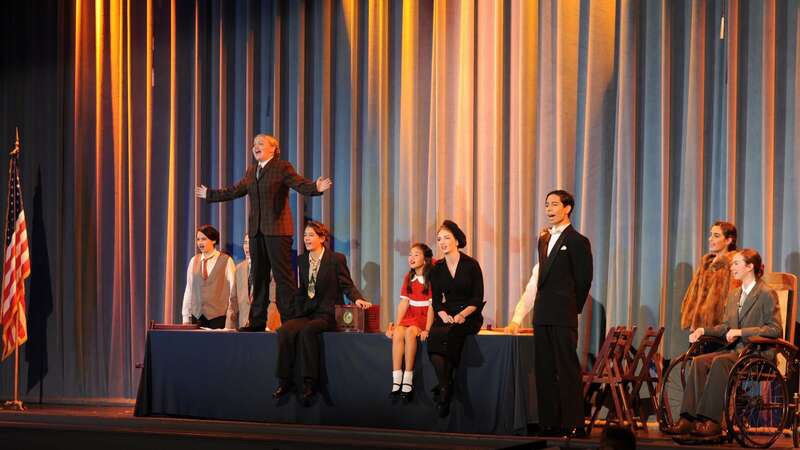 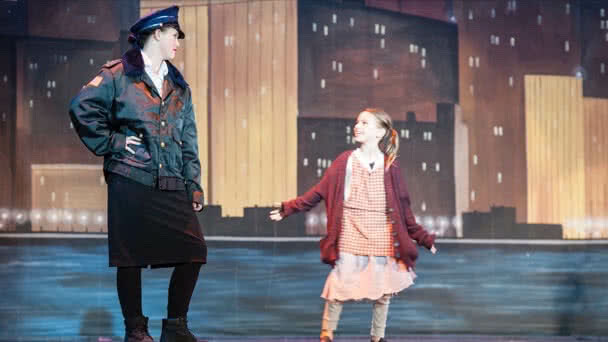 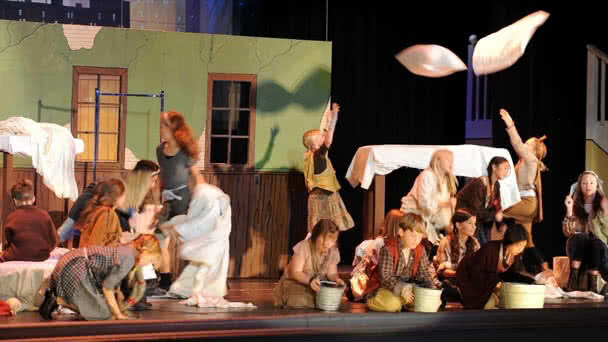 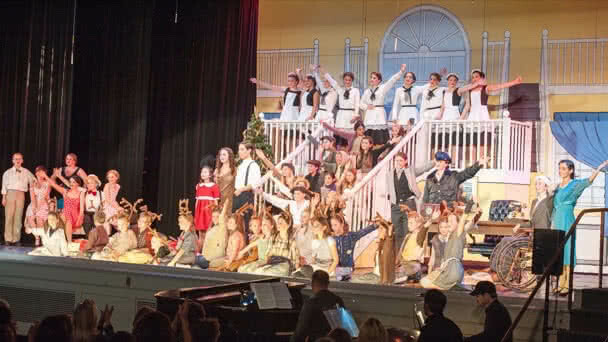 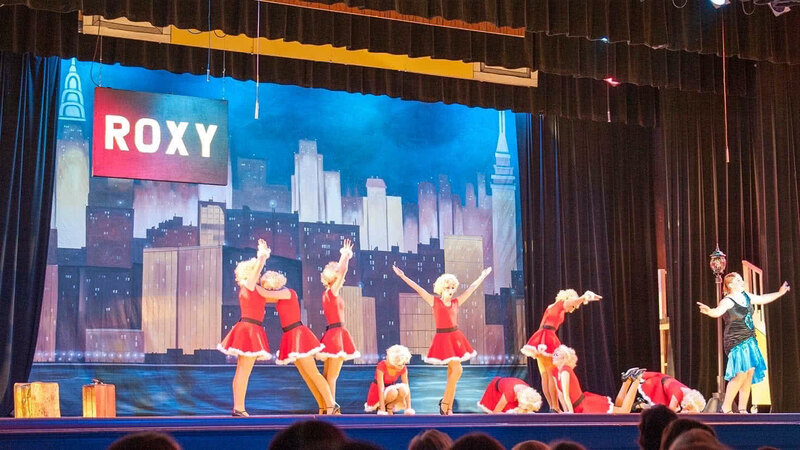 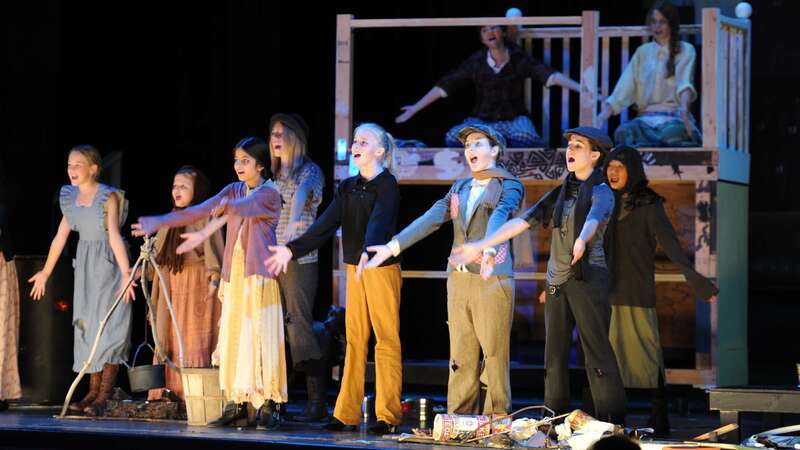 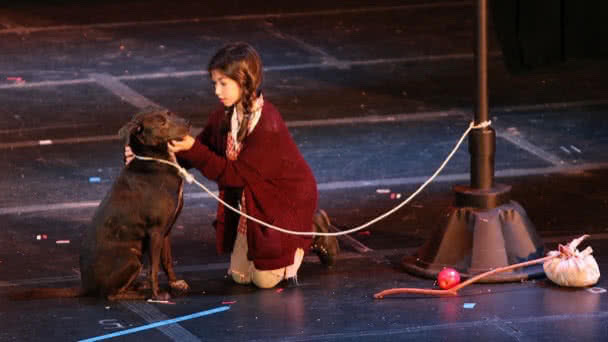 "Annie" was TYR's biggest production to date, with a cast of 67 kids + 1 dog. 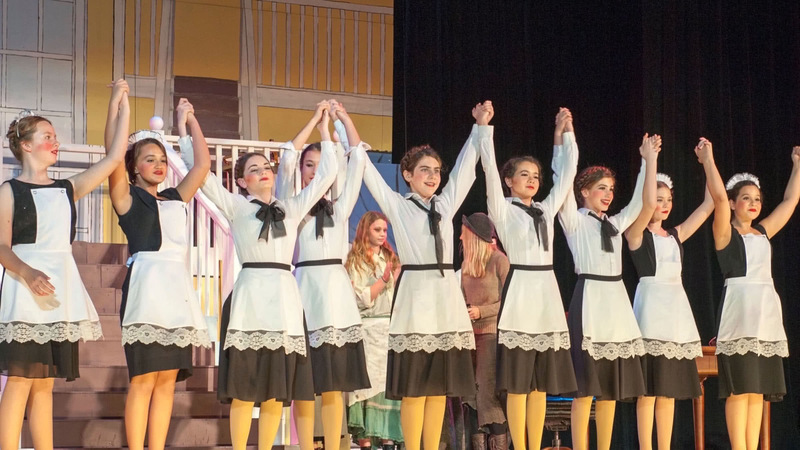 This was an experience that will be hard to forget — or duplicate.